Don’t forget to sign up to Dorking’s Loyal Free App for latest deals. Plus why not pop in and pick up a form for The Friends of Dorking free Dorkers’ Easter Egg Hunt around town, over 130 to find with treats and prizes to be won, so why not start today. 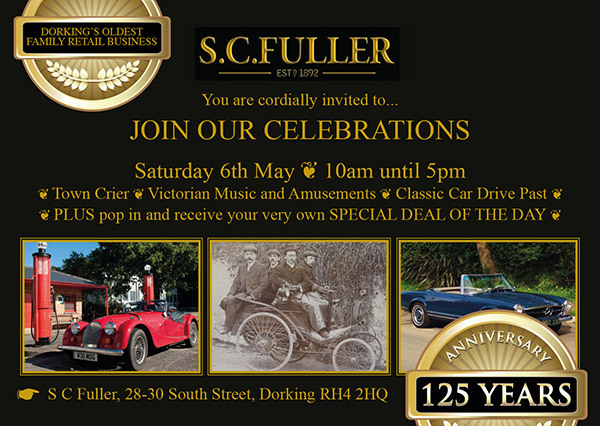 If you love the outdoors, you’ll love what’s in-store at SC Fuller of Dorking. We offer an extensive range of quality equipment, clothing and accessories for many different outdoor activities and country pursuits – from air-rifles to arrows, folding knives to fishing supplies, optics to outerwear, torches to trekking poles and much more. Not to mention our year-round supply of fireworks for all occasions and celebrations. As a family run business now led by the fourth generation of Fullers, you can rest assured that our in-depth product knowledge – gained first-hand from our own enjoyment of outdoor activities – will help you make informed product choices, whatever your level of experience. We are proud to have served our customers from near and far for over 100 years. As a specialist retailer, we appreciate the way people shop is evolving, so we are constantly moving forward as a business too – investing in the very latest products and introducing new lines from leading brands, all of which have been carefully selected with our customers’ needs in mind. 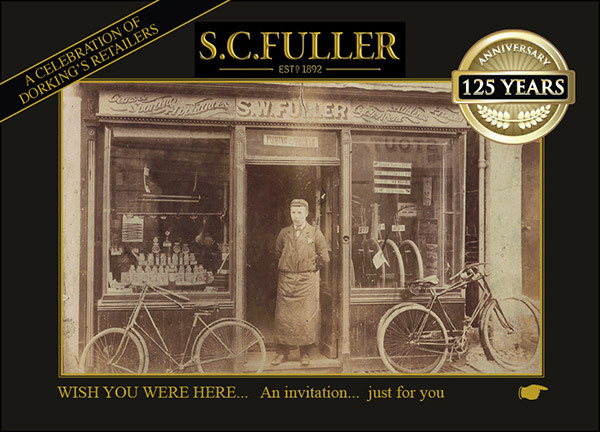 But one thing that has stayed the same at SC Fuller throughout the years is our personal approach to excellent customer service. It’s just one of the reasons why so many of our customers have become familiar faces at Fullers! So if you are thinking of taking up a new hobby, or simply wish to spend more time enjoying the great outdoors, step inside our store in South Street, Dorking where a warm welcome and friendly advice awaits.